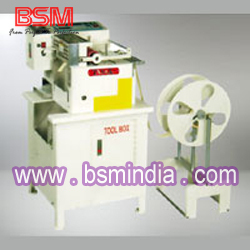 Belt slitting machine adopts electromechanical integrating technology. It automatically adjusts the length data through the input of computer program. 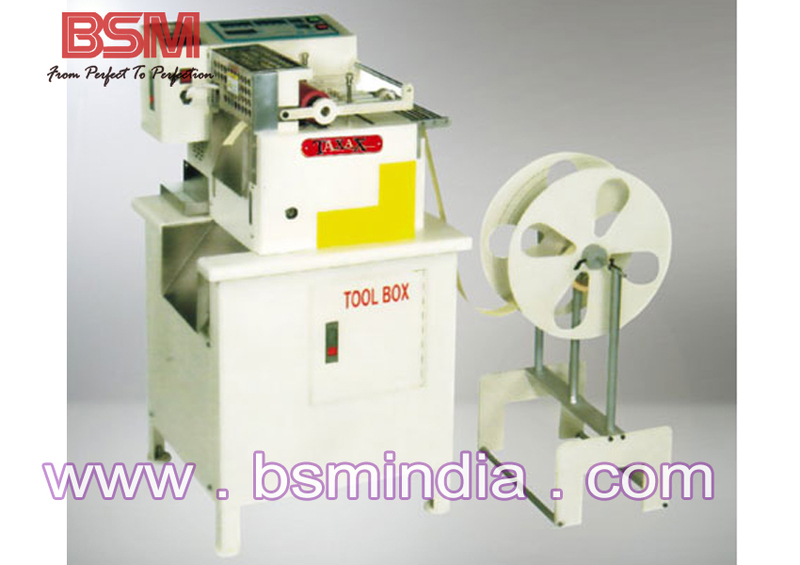 Automatically cutting various straps of different sizes such as braided tape, Velcro tape, plastic tube, bootlace, plastic zipper, electrical wire, label etc. All the data will be saved automatically before put off the switch. with features of high accuracy, high speed, easy to operate and stop working without materials. It's an ideal machine for increasing of efficiency improving quality and saving labour. 1. Compensation: it can recover the differences caused by the material flexibility dissimilarity. 2. Memory: It will save the current dates automatically before the machine is closed. 3. Decimal Point: Special decimal point function, raised the accuracy of the product consumedly. 4. Self-Check: when a defect in the system, LD screen will display breakdown source automatically, in order to expel in the convenient check. 5. Automatic power failure: 1 hr after machine stopped working, the main driving system will break power supply automatically to promise the service life of machine. 6. Automatic pause: once the material uses up, will stop a current work automatically.